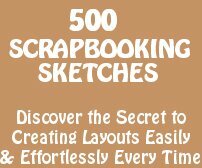 Plenty of unique free scrapbooking fonts to use for text in your scrapbook. Choose from thousands of free fonts below. 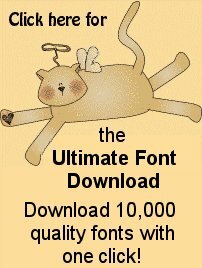 If you need instructions on How to install fonts on your Computer, click the link to go to the instructions at the bottom of this page. Over 1000 free fonts for your scrapbooking pleasure! Fonts & Things - PC fonts organized by name, category and author. If you are looking for something unusual, you might find it here. Font Paradise - Download thousands of free fronts. These are arranged by category. Dog Hause fonts - cute fonts for animal lovers! Alphabets just for scrapbooking - Hand lettered alphabets to print. Font garden handwriting fonts - Big selection of handwriting fonts, displayed by using an amazing amount of quotes. Fontasy.de - This site is in German, but click the GoEnglish button on the left and it will display in English. Over 1300 fonts - great search tool or select by alphabet. Nice fast site. Free fonts - 1001 free fonts. Tons of free fonts displayed very nicely - easy to find the great font you are looking for. Make a font out of your own handwriting. Fontifer turns a scanned sample of your handwriting into a handwriting font that you can use in your word processor or graphics program, just like regular fonts such as Helvetica. A nice collection of free dingbats and fonts. Page through the different categories alphabetically or use the font search to find the specific font you're looking for. Free scrapbooking fonts from scrapgirls.com. Sci-Fi fonts - mostly Star Trek fonts. 1. Create a folder so you will be able to find the font files you download. Right click on the Start Menu button and select Explore. Rename the New Folder by typing "Downloaded Fonts" in place of "New Folder". Click on the font you would like to download & a "File Download" box will appear. Click on "Save" and save it in the "Downloaded Fonts" folder you just created. After the file is downloaded, you will need to unzip the contents of file. In Explorer, just double click the zip file that you have downloaded into your "Downloaded Fonts" folder. Under Folder Tasks on the left, click on "Extract all files". Click Next in the Extraction Wizard. In the "Files will be extracted to this directory:" box, it should say c:\My Documents\Downloaded Fonts. If it doesn't, click the Browse button and go find that directory. Click Next, Click Finish - now your file is in the Downloaded Fonts folder. Click the Start button - then Control Panel - then Fonts . From the top menu on the Fonts page, select File - then Install New Font. Under Folders on the bottom left of the Add Fonts box, double click on the C:\. Then find My Documents\Downloaded Fonts. Under the Downloaded Fonts folder will be another folder entitled the name of your font. Double click on that folder. You should see your font now in the "List of Fonts" at the top. (Be sure the box is checked on the screen at the bottom that says Copy fonts to Fonts folder.) HIGHLIGHT the font in the List of Fonts, then click OK to install the font. Then click Close. Now your font should be available in the list of fonts in all your programs.